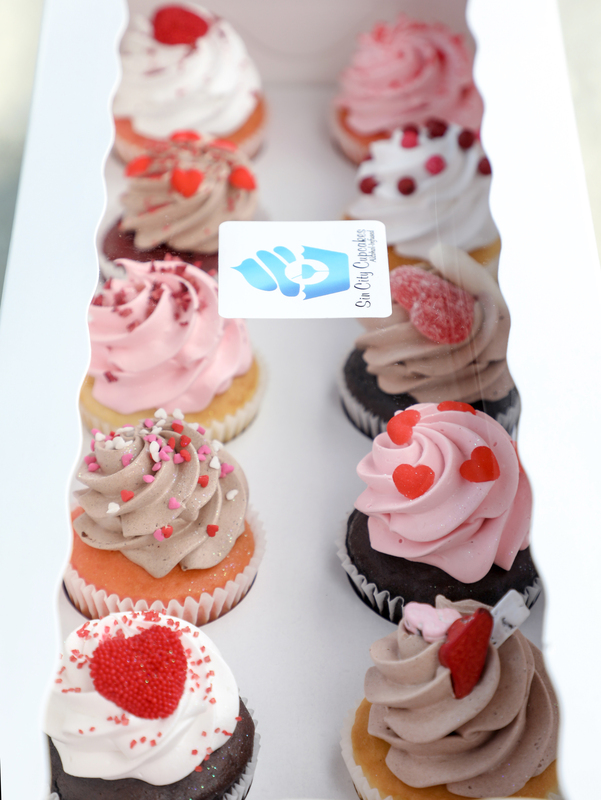 We are having a Valentines early bird special this month only! 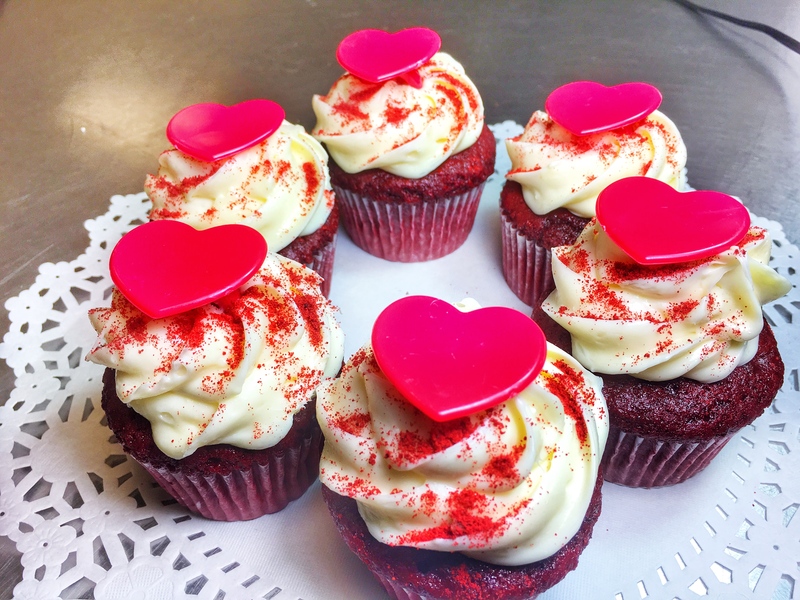 Get your sweetheart a sinful treat this Valentine’s Day with our special! 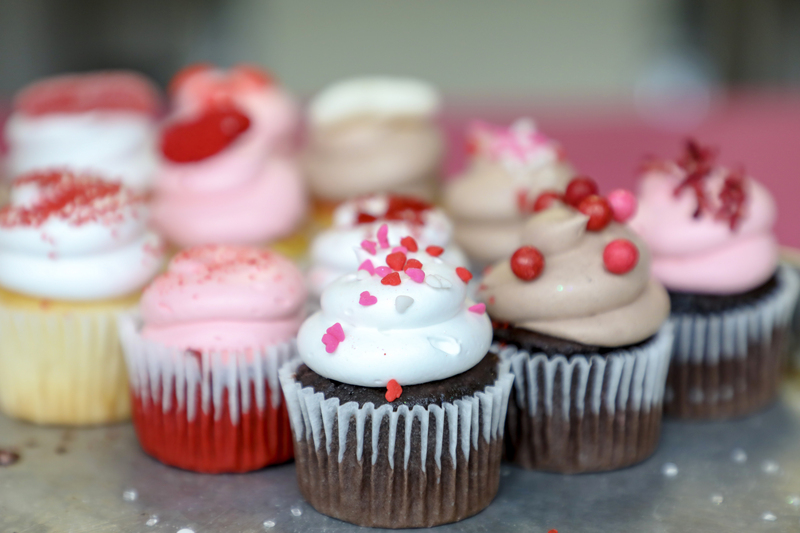 During the month of January (until 1/31), use promo code: EARLY for 15% off your Valentine’s Day order! 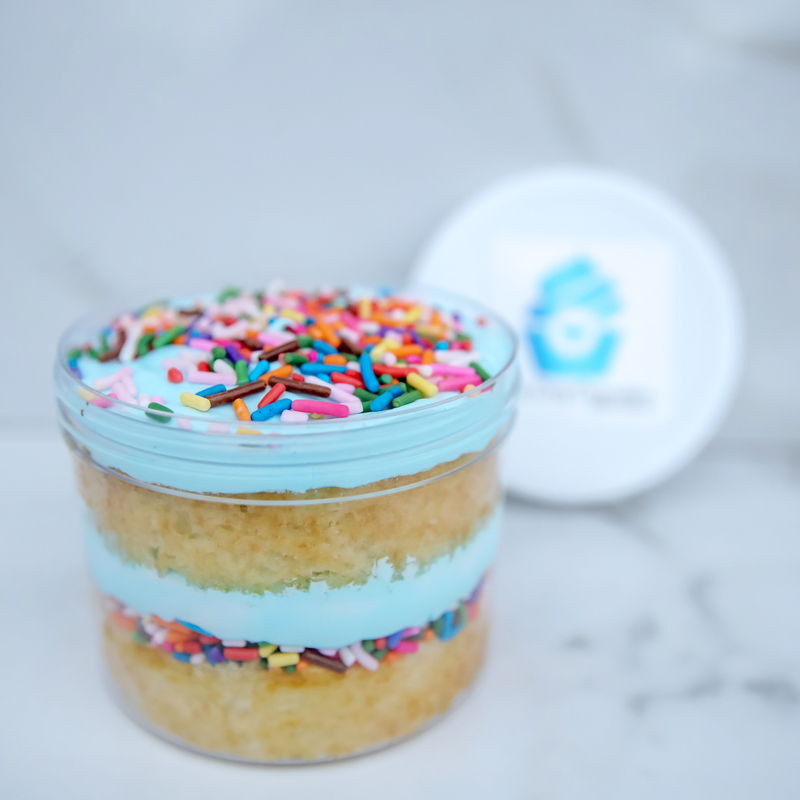 Place an order either online on our order form or call us at 702.776.0955. When placing your order you must include the promo code to receive the discount! 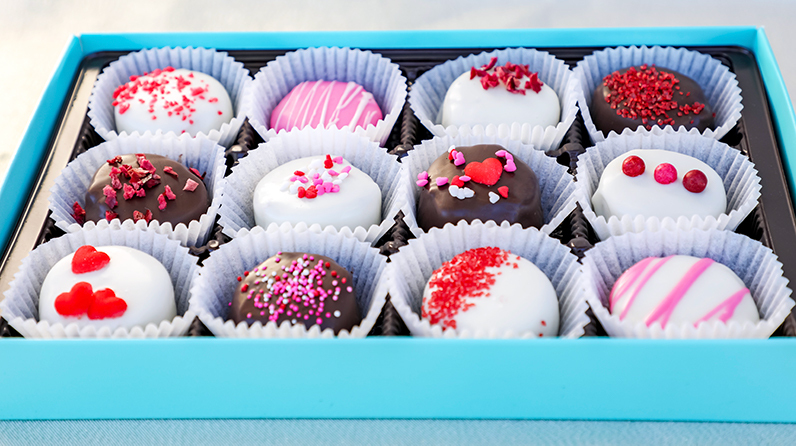 Don’t wait until the last minute to find something sweet to send! We deliver to any hotel property, restaurant, residential or business address! FREE delivery to the majority of the Las Vegas Valley. Valentine’s Day is approaching fast and chances are you haven’t figured out the perfect gift for your significant other… Correct? Well it is your lucky day! 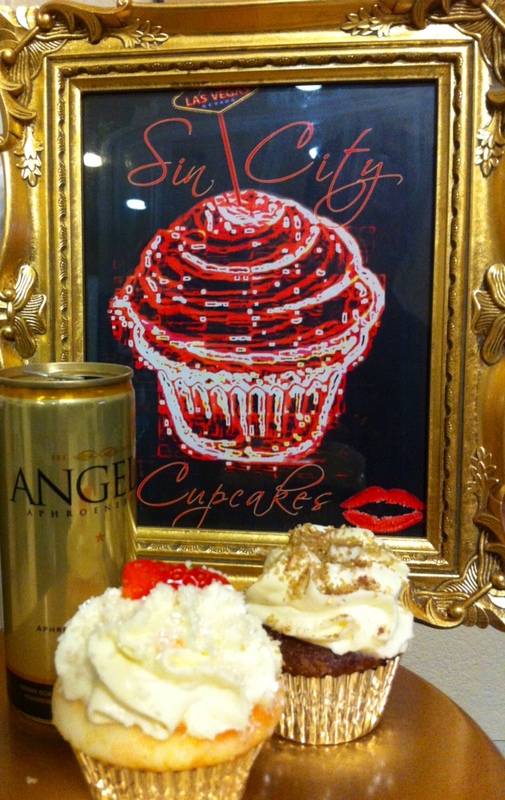 This Valentine’s Day, surprise your boyfriend or girlfriend with an innovative and unique gift from Sin City Cupcakes and Angels Aphroenergy (the new aphrodisiac energy elixir)! 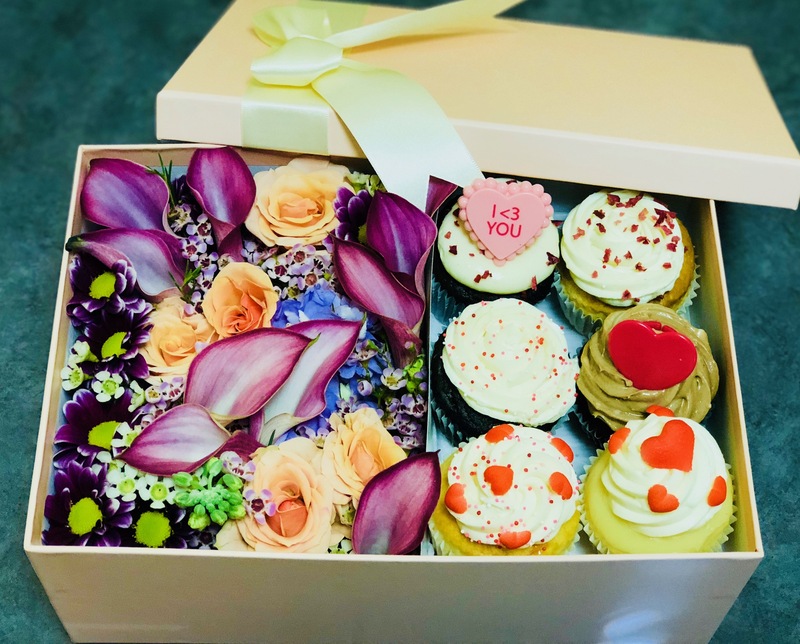 A new exciting addition to the most romantic day of the year instead of the boring, expected, “ordinary gifts” like candy, flowers, and teddy bears. 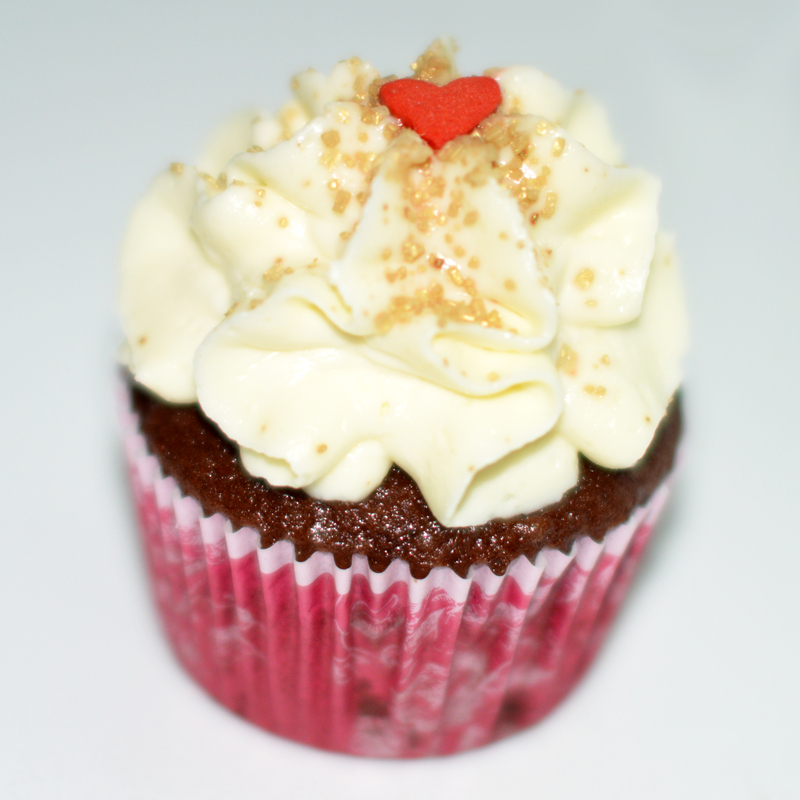 We present to you, the Aphrodisiac Collection, a special limited edition for the month of February. The Valentine’s Day offerings are designed to spice up the romantic holiday with lust and intimacy. 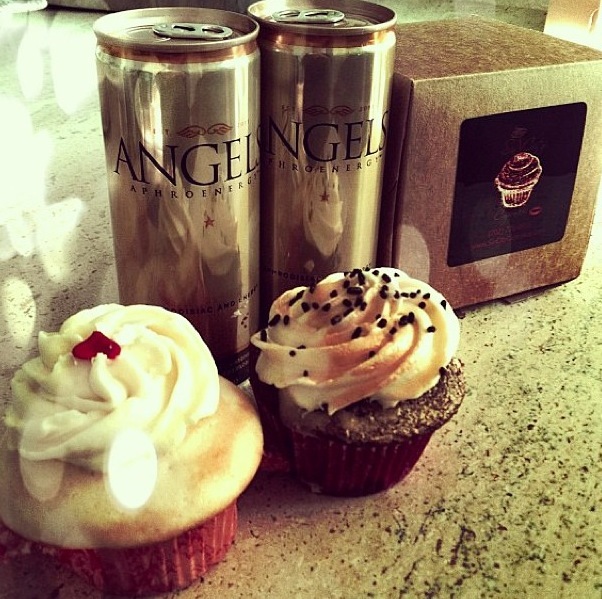 The sweet treats feature the highest quality ingredients and ultra premium liquors and are infused with Angels Aphroenergy, a sensual new beverage featuring ingredients specifically noted for their ability to elevate stimulation, sensitivity, sensation and stamina. 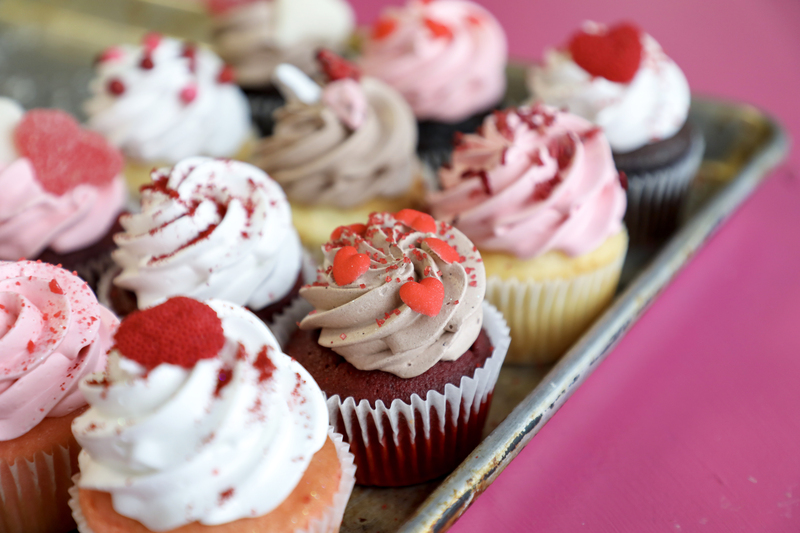 The Aphrodisiac Collection features two cupcake flavors that can be ordered by the dozen or as part of a mixed dozen package combining six of each flavor for $49. Angel Kiss is a decadent angel food cake filled with fresh chopped strawberries, Angels Aphroenergy and vodka and topped with vodka cream cheese frosting, while Angel Dust tempts with a rich chocolate cake filled with strawberry cheesecake, Angels Aphroenergy and vodka and topped with vodka cream cheese frosting. 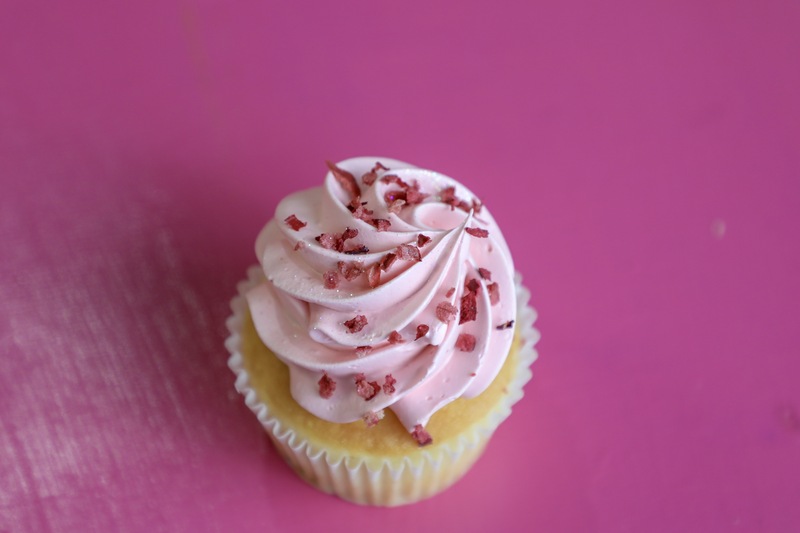 The soft aroma and flavor of strawberry captured by the effervescent drink pairs perfectly with the Sin City Cupcake ingredients for an ideal Valentine. 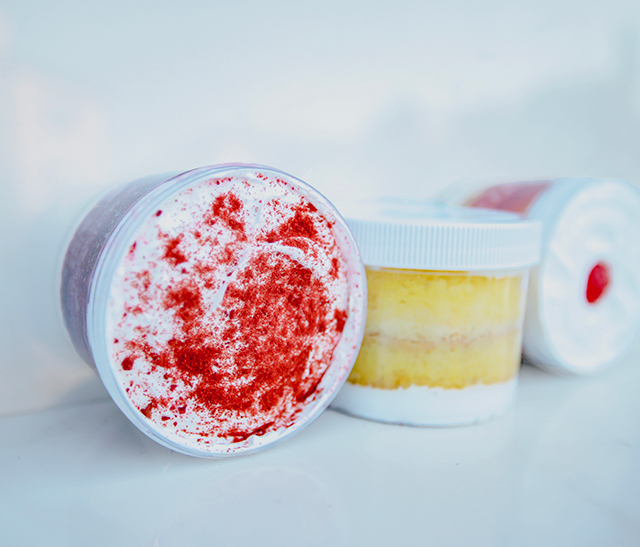 Order your Aphrodisiac Collection today for Valentine’s Day now! Guaranteed to separate this Valentine’s Day from all the rest. 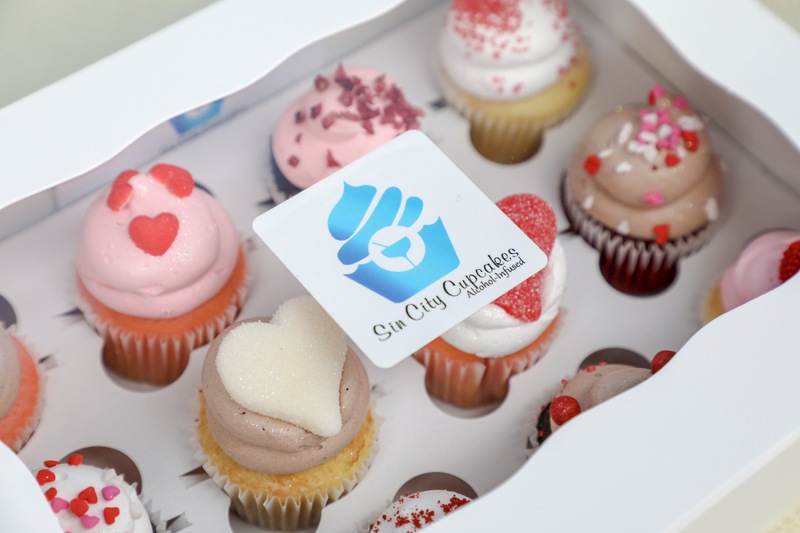 Call Sin City Cupcakes at (702) 776-0955 or email connect@sincitycupcakes.com to place your order. 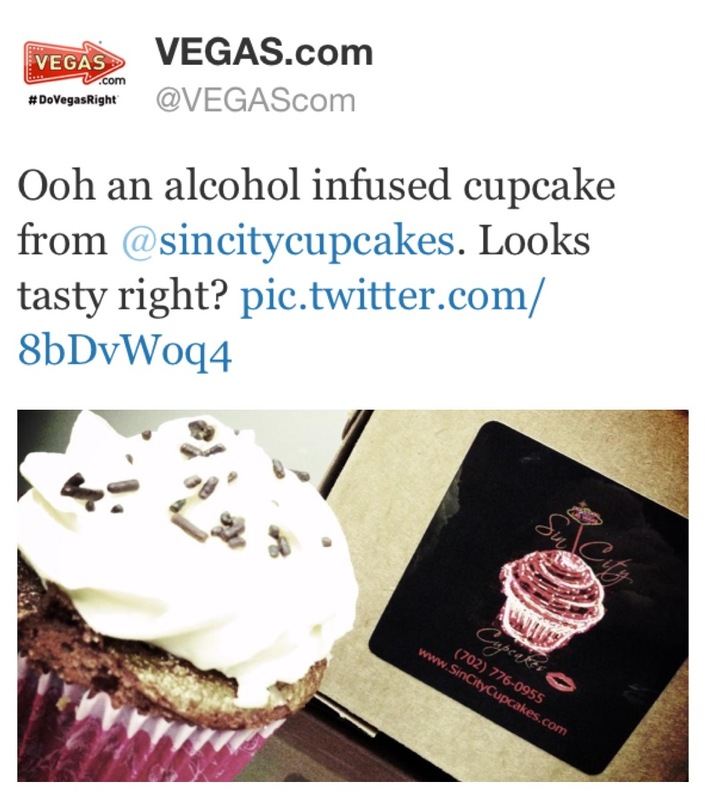 Thank you Vegas.com (@VEGAScom) for the Twitter shout out! 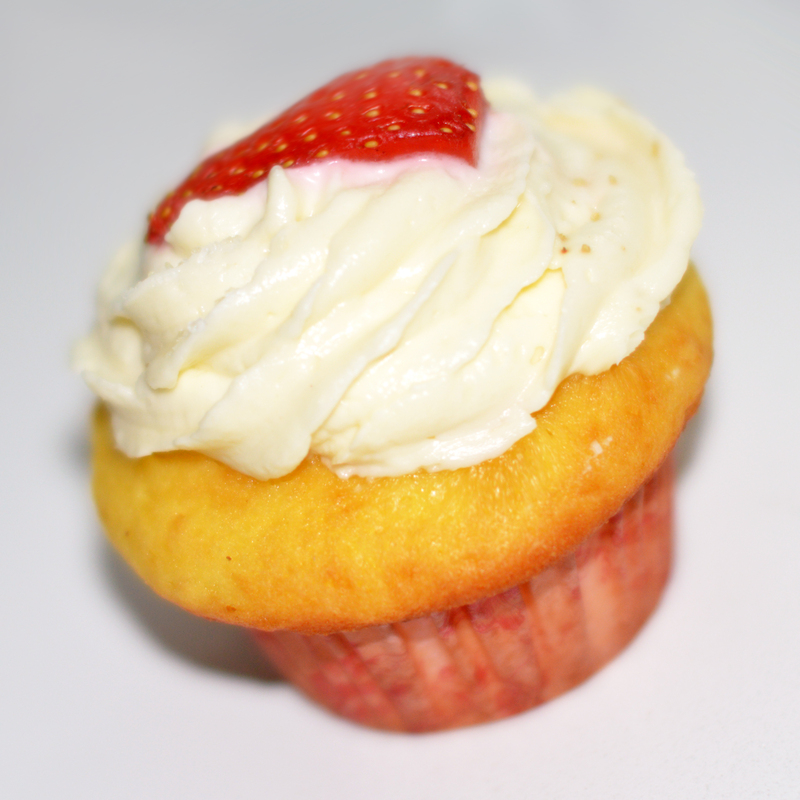 Glad you enjoyed the boozey cupcake!